The Lord of the Rings brings us one of the coolest horses to ever grace the page, a noble steed that not even the horse-riding tribes of the Rohirrim were able to tame. Shadowfax was, however, tamed by Gandalf and served as his brave, noble, steadfast steed from then on. Mercedes Lackey was the first author I can remember who elevated horses to something more than just a wild animal. In her Heralds of Valdemar books, they are magical Companions who choose the human ride to whom they'll bond. In The Last Herald-Mage Series it is Yfandes, a caring and protective horse-like creature, who chooses Vanyel and serves as his loyal Companion. 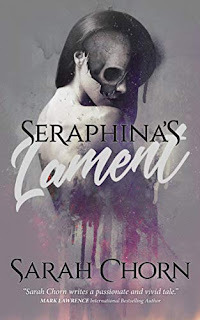 While unicorns are often portrayed as pretty, magical creatures, in The Obsidian Trilogy (co-written by Lackey & Mallory), the unicorns are smaller, almost pony-sized steeds who abhor the touch of a demon, are most comfortable around virgins . . . and are general smart-asses. When Shalkan rescues Kellen from the Outlaw Hunt, Kellen finds himself bound to both the unicorn and celibacy for an entire year. 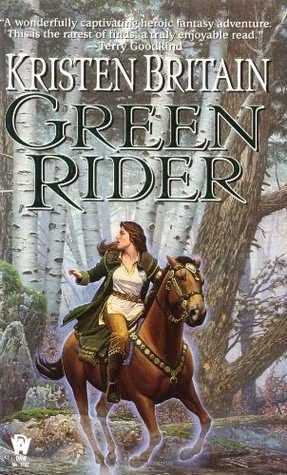 Kristen Britain's Green Rider series brings us Condor, the mount of Karigan G'ladheon, the Green Rider at the heart of the series - although she simply calls him Horse. Condor is a Messenger Horse from the Wanda Plains, one of the magical beasts that somehow know when a Rider need a new mount. Tall, long-necked, and long-legged, Condor bears the scars of serving its first rider, F'ryan Coblebay. There are only two horses who appear in every book of the Wheel of Time series. The first is Bela, the shaggy brown mare owned by Tam al'Thor, ridden most often by Egwene al'Vere (including a dream version), and Mandarb, the highly trained warhorse ridden by al'Lan Mandragoran. Bela is a placid, but loyal beast who really doesn't really seem like much, but who does get to be a hero in the end. Mandarb, on the other hand, is a living weapon who is a hero throughout the series, earning his fair share of scares in the process. A similar warhorse is found in A Song of Ice and Fire - Stranger, Sandor Clegane's warhorse. Strange is a massive, savage, black warhorse that violently lashes out at anybody who tries to get near, but who is a gentle companion to Sandor. Whereas Mandarb simply meant 'blade,' Stranger is named for the god of death and outcasts, a name that has specific meaning to Sandor. The Stormlight Archive offers us the Ryshadium, another breed of horses who pick their riders. The fact that Dalinar and Adolin have their own Ryshadium mounts is a source of rage and frustration for Sadeas, who has never been similarly chosen, and who cannot buy himself such a horse. Dalinar's horse is a black beast by the name of Gallant, while Adolin's is a white stallion named Sureblood. These horses are strong enough to bear the weight of a Shardbearer, and smart enough to communicate with them, even obeying commands during the heat of battle. Some excellent choices. This early in the morning, the only other one that comes to mind is Bree from Lewis' A Horse and His Boy. Young fantasy, but I think it still qualifies. I've successfully purged most of Narnia from my memory. 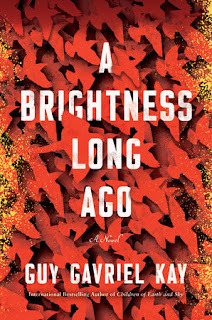 It is, by far, my most despised fantasy read. Off topic but I have never understood the obsession with unicorns and it is Pratchett (duh!) who explains why. It is just horse with a bloody sharp point on its head. Yeah, they can be pretty generic fantasy tropes, but I especially liked what Lackey and Mallory did with them in The Obsidian Trilogy. Kind of a satirical subversion. YAY for Shadowfax! :) He's one cool horse. 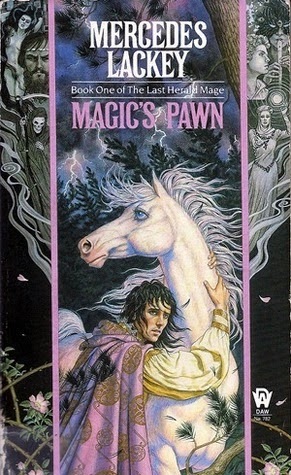 And you're right - Wheel of Time features a number of faithful horses but I completely forgot about them... Great list! Mandarb was one of the first mounts to come to mind, but I'm glad I managed to remember Bela. Good choices - especially Condor; I'd forgotten about him! (I still need to read books three and four, so it's been a while.) And Shadowfax too. I put the Companions on my list as well, but they're not unicorns - no horn. I think my favorite is Alberich's Companion, Kantor. Oh, and Florian. And I've always been amused that not one of the Heralds picks up on who Sayvil really is. Don't feel bad, I need to catch up with books 3 and 4 as well! You're completely right about Lackey's Companions, although I did have to do some scrambling through the shelves to convince myself. I don't know why I've always had Yfandes in my head as a unicorn . . .
Well... white in color; special and not really horses; very definitely representatives of "good" - I can see why you would think of them that way! Some great mounts on here. I've added a couple books that I really need to give a try. Impressive that you remembered the name of Sandor's horse! 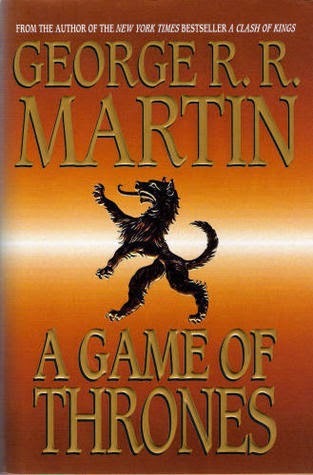 This is the one week I really couldn't come up with anything from ASoIaF! I like that you took the Beloved Mount very literally! Great list of horses. I've seen Green Rider floating around quite a bit lately! It looks like the kind of book I'd enjoy...and I appreciate a heroine who names her steed Holly Golightly style. 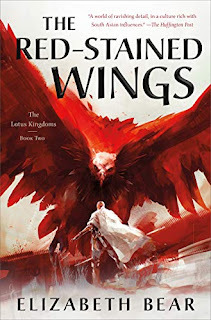 I think I've actually read a book or too from Lackey's Last Herald mage series because it sounds pretty familiar but I remember very little about it - I HATE that! Very thorough list with some choices I've not seen elsewhere! I don't remember Sandor Cleganes horse well... so he has one. He wasn't mentioned a lot, was he?